An isolation transformer is used to provide isolation between a power source and the powered devices thereby providing better safety to appliances as well as their users. Isolation transformers also have noise and power surge reduction capability which makes them ideal for those appliances which require a high-quality power supply for efficient operation. This article deals with the use of isolation transformers in UPS systems. 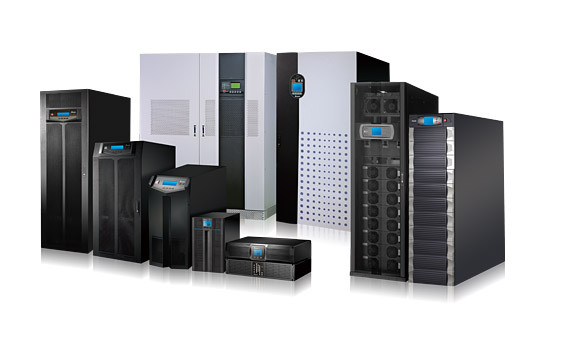 UPS systems which have a transformer-based design have many advantages compared to transformer-free ones. If the transformer used is an isolation transformer, the advantages are even more. Isolation transformer dealers in Chennai provide excellent transformers which make UPS systems highly efficient and reliable. A transformer-based UPS is more efficient compared to a transformer-free UPS in the following areas. Every UPS system works by sampling an input wave and providing a smooth power at the output. When an isolation transformer is used with UPS with the intention of isolating downstream load, then close attention has to be paid to the bypass connection. This is because the bypass connection acts as a substitute path between the distribution bus and the load. Hence when the bypass mode is on, any changes in the bus will naturally reflect at the load. On the other hand, if the isolation transformer is between the UPS and the bus, then the load and the UPS is completely isolated from the bus even in the bypass state. What is the need for using an isolation transformer in UPS systems? Let us move on to the most important reasons. Sometimes, the grounding system of the UPS may be a highly resistant one whereas the loads connected require a very solid grounding. In such cases, an isolation transformer can be used to ensure safe and sound operation. If the output voltage of the UPS is different from the voltage requirement of the load, then a voltage conversion is necessary. An isolation transformer can be designed as either step up or step down to convert voltages to desired levels so that the connected loads get the required voltage. Isolation transformer helps in reducing noise and fault current thereby ensuring the proper working of connected equipment. Isolated transformers make use of Faraday shields to get rid of noise and leakage currents. An isolation transformer kept external to UPS makes maintenance of UPS easy. Isolation of UPS from the power source prevents risks of electrical shocks during the testing or service of the UPS. Hence it ensures the safety of the technicians doing the maintenance work. In Which Areas Are Isolation Transformers Truly Helpful? Isolation transformers are essential where highly sensitive instruments are involved. Such instruments are most commonly used in medical field. The reliability of these instruments is greatly affected by noise (It should be noted that ‘noise’ refers to the disturbances due to electric and magnetic fields and not the sound disturbances) due to other devices on the same grid. Connecting such instruments to an isolation transformer before connecting to a UPS system would ensure their reliable operation. Further, it also ensures safety from electrical shocks which is very important in a medical setup. In medical instruments, even a minute fault may lead to very harmful consequences, and hence the instruments are to be dealt with serious care. Isolation transformers provide the much-needed precision, reliability, and safety for medical devices. Whether isolation transformers are required for UPS systems or not is a topic of continuous debate. The increase in expense and space requirement are the most common disadvantages which are highlighted by those who are against isolation transformers. But the immense advantages that the isolation transformers provide easily outweigh these disadvantages thereby making isolation transformers a smart choice for UPS systems.